With this commitment, Neotrope aligns itself with Move For Hunger’s ongoing mission to reduce food waste and fight hunger. To date, the non-profit’s network of relocation professionals has collected and delivered more than 6 million pounds of food – providing more than 5 million meals – to food banks and pantries across North America. As part of this in-kind grant program, Neotrope® is providing public relations (PR) solutions, news dissemination (through its Send2Press® Newswire service), online advertising, and social media marketing for Move For Hunger. This program is intended to help raise awareness of the 501(c)3 non-profit to traditional media, to the public, as well as potential sponsors and donors, regarding their efforts. 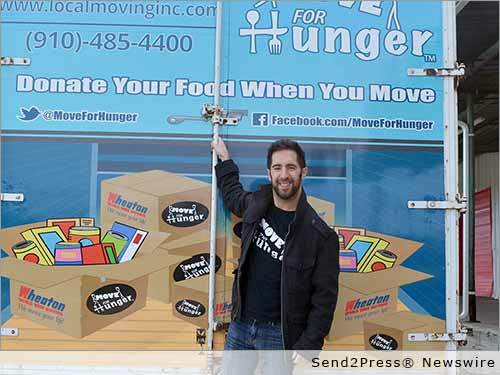 Move For Hunger is a 501(c)3 non-profit organization that mobilizes the relocation industry to fight hunger and reduce food waste. Founded in 2009, the hunger-relief organization works with companies across North America to collect unwanted, unopened food from people who are relocating and deliver it to local food banks. To date, their network has delivered nearly 6 million pounds of food to food pantries across North America. For more information or to find out how you can help support Move For Hunger, visit https://moveforhunger.org/ or on Facebook at https://www.facebook.com/moveforhunger/. With this cause-related marketing grant program, Neotrope has been honored to help many worthy causes in past years, including the Bob Moog Foundation, Camp Blue Skies, Children Awaiting Parents, Girls Write Now, Move for Hunger, National Inclusion Project, Pacific Pinball Museum, Special Equestrians, Starlight Children’s Foundation, World Savvy and dozens more (use of any org name does not imply endorsement). Since 1983 Neotrope® has delivered services to raise organization awareness including brand identity, marketing, public relations (PR), and SEO services. Neotrope is also an entertainment publishing company involved in books, music, software, and online magazines. The company pioneered the concept of search optimization of press release content back in 1997 and has been at the forefront of many communication and technology movements for over three decades. Neotrope was an Inc. 5000 company in 2009. More information: http://Neotrope.com.